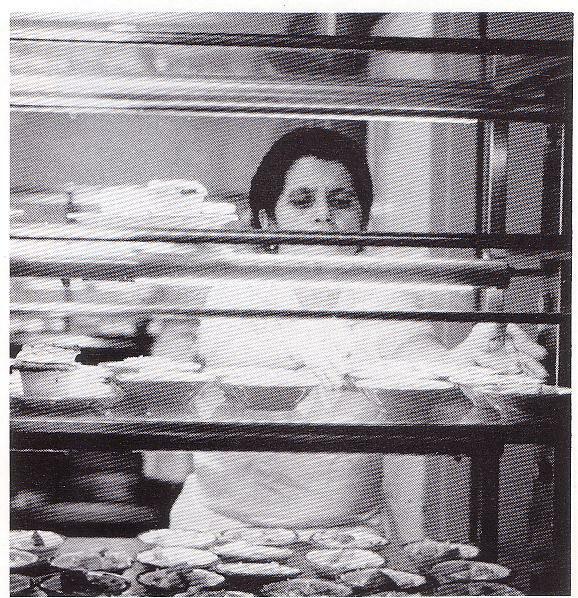 A cafeteria worker setting out "food". So after the riot, they tried to make nice with us. The next day, they served us steak and potatoes. That might not seem amazing to you now but the fact that we could identify it as meat was a huge improvement for us. So we thought that we might have made a difference. This was the height of the Vietnam protest movement so the idea that we could change something was VERY appealing to us. The day after the steak, they served us ham and cheese except it wasn't ham. It was canned spam. So there are rumblings in the cafeteria of another riot and I walk over to the cafeteria workers and tell them that they can't serve spam and call it ham and they need to remake the sandwiches. So they had to take all of the sandwiches off the line and either throw them away or replace the spam with actual food.